The men behind the BBC’s modern version of Sherlock are adapting another Victorian classic: Dracula. 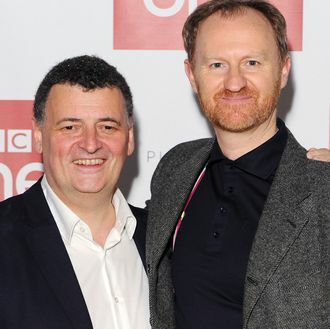 Per Variety, Steven Moffat and Mark Gatiss are working on a new TV adaptation of Bram Stoker’s Dracula, which will air with three 90-minute installments on the BBC and on Netflix outside of the U.K. Unlike Sherlock, this series will stay in the time period, and be set in 1897, though they’ll probably find a way to make him a troubled-yet-adorable genius of some sort (though hopefully they won’t bungle the female characters as Sherlock is sometimes known to do). Too bad they already made a show with Benedict Cumberbatch, as he would be a great fit for this role, given that he actually does rely on human blood for sustenance.